Sending diagnostic specimens which are kept on dry ice? 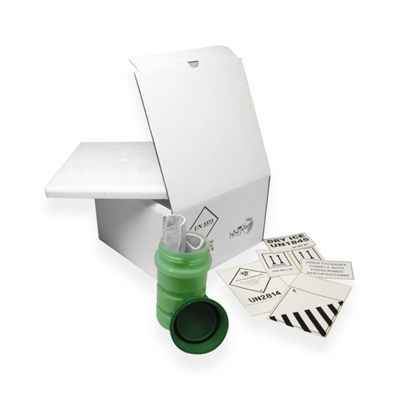 Look no further this kit contains: an isolation EPS box, a cardboard box, plastic shock absorber, 500ml green container and four absorbing tube holders. This package is recognised and approved by governing bodies and will be accepted for transport by air or road. Don’t forget to order the dry ice labels from our web shop if sending by an external courier.